Kurt Cobain’s personal Seafirst BankCard Visa and “King of Clubs, Slot Club” cardholder are currently on sale at auction. The Nirvana singer signed the card in blue and wrote what looks to be a phone number on the back. 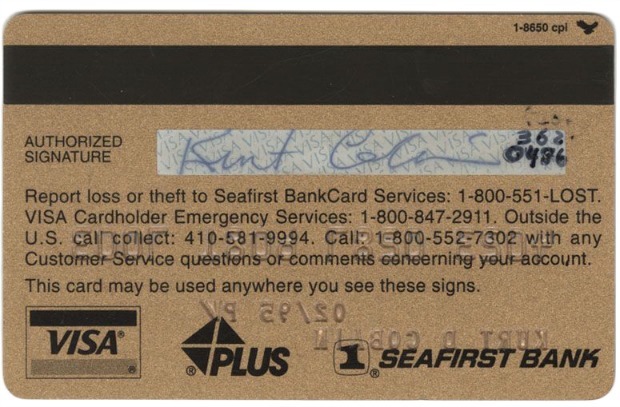 The card expired in February of 1995, nearly a year after Kobain’s death. The item is up for sale by auctioneer Paddle8, and the current bid is $7,100, with the reserve already met.